I have been using this tattoo for more than two years, this machine combines the most important qualities that are important for me in my work: product quality, convenience and technical characteristics. They are all combined in the HAWK PEN! Very powerful, but at the same time very soft and applies paint. For today, I consider it an ideal tattoo machine! I have a Cheyenne HAWK PEN, which I really enjoy using. The only thing is that when we were getting used to it, we didn’t have the L shape that most machines have, and it took me a day to get used to it. But it was so nice with the pen shape, which balances itself perfectly and takes the weight away from the back of your hand and you can just easily pull a line without worrying about anything. 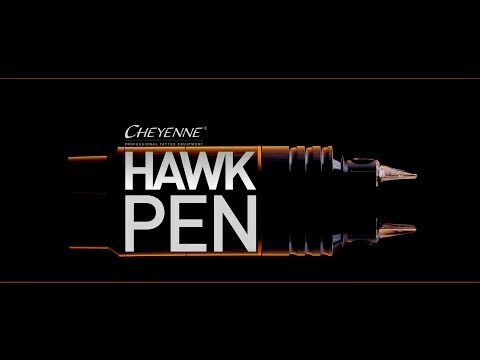 I’ve been using Cheyenne HAWK PEN for almost three years now. For me it always takes a little time to adjust to new things in tattooing. When I first got the HAWK PEN, I put away everything else to force myself to adapt. It went very fast, maybe two days of tattooing. The HAWK PEN is a lovely tool in tattooing and I do everything with it, lines, shading and color. It’s a perfectly balanced tattoo machine. Award-winning, high-end design combined with product quality "Manufactured in Berlin".